Why are we here on planet earth? Why didn’t the Lord take us to heaven as soon as we believed? Why did the Lord pray to the Father in John 17 these words? Is there a heavenly purpose for our continued struggle and suffering in this world? Are we on display as was His Son when He walked the earth in the first century? With so many Christian groups, churches, and denominations all claiming to have the truth in the 21st century, is there a way to tell who really is the Church the Lord is building? Society is tired of what we say and what we do inside our buildings on Sunday. The world is waiting to experience a living example of Christ. They want to see a people whose life reflects the love of the Father and the compassion of His Son for a world in crisis. There is only one test of authenticity. What should be the focus of the Church of the Lord Jesus? Is it to evangelize the lost or is it to make disciples of Christ? Why are 90% of the Sunday sermons that revolve around saving the lost, preached to the saved? Our challenge is to go and make disciples. What is a disciple? A disciple is someone who loves like Christ loves. Disciples are those who understands that their lives have been bought with a price and they now live to represent His love to each other first, and then to a dying world. Few Christians can answer this question. Jesus has always been the Head of His Church. However, in the year 313, the Roman Emperor Constantine began to build buildings and assign “clergy” to rule over the “laity” like other religions of his day. So, the Church became a religious system–in essence a business– needing to perpetuate itself. Some believers rejected the process of institutionalization, but most went along to keep or upgrade their economic standing. Once priests and pastors were placed as mediators between God and His people, things began to change. The next big hit came in the Reformation during the 16th century. The printing press was invented, Bibles were printed, and the common man began to learn how to read. Illiteracy in Germany at the time of Luther was close to 97%. Calvin used cartoon storybooks and coloring books in France because so few of the common people could read. The Bible was available in the common language it’s true, but only the elite could read it. As some leaders began to teach the truth to believers, the religious system took action to better control the people. Seminaries were created to control what was taught and who was officially authorized to teach and lead the people. What was supposed to bring reformation was actually used to tighten the noose around the people of God. Many who refused to follow the “official church” were slaughtered and murdered in the name of Christ. The Body of Christ has yet to fully recover from these two worldwide events in the life of the Church. Amen to that! How did our priorities change? Once a religious corporation in need of finances replaced freedom and love for one another, the monster that is now called the church was created. Buildings for God and salaries for God’s clergy now had to be paid. Success was then defined by the size of buildings, budgets, and numbers in the congregation. Being a member of the Body of Christ in the One Church and Kingdom of the Lord Jesus Christ was replaced with allegiance to a local church. This also created the idea of local church memberships and little kingdoms with their own little kings called pastors and priests. To maintain control over the people sacraments became a job description and these could only be done by an official representative of the Church–salvation, baptism, Eucharist (or Lords Supper), marriages, and funerals, to name a few. When money is the bottom line, it affects the focus of everything that is done. Oh yes, we still try to say the right things, but an evil darkness controls everything under the pretty buildings, the fancy suits and robes, the paid professional musicians, state of the art lighting and sound systems, and the Sunday morning “God bless you’s.” As they say in Hollywood: ‘’ The show must go on” at the expense for the care of the people of God. Some of you may say: “My church and leader are not like that at all,” but the next question may help your understanding because you don’t know what you don’t know. How do these human traditions continue to perpetuate themselves? The “official church” or religious system began to change the definitions of biblical words to perpetuate what and how they did what they did. The religious systems of the 16th century oversaw the translation of the Bible. People were also told they were not qualified to read and understand the Bible. Many were told by the ruling authorities that reading the Bible would make them crazy. To control those that did read, they created commentaries and notes were placed alongside the biblical text. Of course, these were written by the clergy class so that it supported what they were doing. With man putting confidence in the interpretations instead of listening to the Holy Spirit, control was inevitable. Another problem that perpetuates the religious systems of men is that what most Christians see and what they now do in the name of Christ is all they have ever seen. Like a bird born in a cage that never gets to fly, they remain bound by what they have never experienced thanks to the traditions of men. Many are told that to question a leader is to be disrespectful to authority. We are told these are the “experts” because they have the title and the seminary degrees. Generation after generation follow like lambs to the slaughter a religious system that doesn’t work to produce loving disciples. The only thing the religious system produces well is ignorant, self–centered, and self-righteous clones that have not one ounce of love for one another. The religious system breeds these people and the world rejects Christ because of their example. Like the movie, The Matrix, they think they are free but they live controlled by their passions and lust. Once a week they put on “their Sunday clothes” to impress a God who exists only to respond like 911 when they have a problem. Thanks to the invention of the printing press in the 15th century and now the internet, the information concerning the life in the Lord Jesus Christ is known by most of the world. Bible verses are quoted and explained daily on all forms of social media, and yet we have not filled the world with the Gospel. Is it possible that the Gospel of the Lord Jesus Christ is something that is lived openly more than something we share verbally? Today many are walking away from the institutional church or religious system. More are leaving than are being converted. Most of the large mega churches are made up of transfers from smaller congregations that are closing at an alarming rate. According to the Hartford Institute of Religion Research, more than 40% of Americans “say” they go to church weekly. As it turns out, however, less than 20% are actually in church. In other words, more than 80% of Americans are finding more fulfilling things to do on weekends. Furthermore, somewhere between 4,000 and 7,000 churches close their doors every year. Southern Baptist researcher, Thom Rainer, in a recent article entitled, Thirteen Issues for Churches in 2013, puts the estimate higher. He says between 8,000 and 10,000 churches will likely close this year. Between the years 2010 and 2012, more than half of all churches in America added not one new member. Each year, nearly 3 million more previous churchgoers enter the ranks of the “religiously unaffiliated.” We are now in 2017 and these numbers have probably doubled. Those that leave say they still believe and love God, they just can’t put up with the church as it is today. Is it possible that what the religious system is doing and offering is something less that the total surrender and 24/7 lifestyle that is modeled in scripture by His disciples? We bring them to a system instead of to a Savior. We provide an earthly mediator between God and Man (clergy class). We promote our differences from other Christians instead of our unity in the Lord’s Church. We invite them to find the Lord’s presence in a building instead of in a daily relationship. We teach them to memorize the Bible instead of how to hear the Word (rhema) daily. We offer them to “go to Heaven when they die,” not how to live Heaven on Earth now. We train them to worship the Lord weekly in song instead of daily with their life. Our meetings places are designed for us (to hear the clergy) and creates spectators. We invent the word “missionary” to replace the responsibility to go and make disciples. The majority of the church comes together to get instead of to give of themselves. The whole Body of Christ is not welcomed/permitted/allowed to exercise their gifts. Gifts are relegated to assisting in the performance of the Sunday morning service. A love for the Body of Christ has been downgraded to only those I like in (my) Church. Doing social good must be programmed and approved by the controlling clergy class. Outside speakers will not share their gifts with the Body unless they are paid up front. Like a club, few real relationships exist outside the weekly service and loneliness abounds. On average, over 80% of income is spent on buildings and salaries instead of the needy. We make salvation contingent on weekly attendance and participation in rituals instead of explaining the completed work on the cross and our righteousness in Him. So, to answer the question of what is the greatest weakness of the “Church,” is that it has little or no resemblance to the Church as described in the book of Acts. Go and make disciples has been replaced with come and get your weekly fix. In the 21st Century how do we remain true to the Lord’s command? Do we continue with our evangelism programs and “church growth “strategies, or do we return to modeling the love of Christ to one another? Sermons about Christ cannot change lives better than one follower of Christ who lives what he believes on a daily basis. Amen to that. Is the church a building or is the church a people? If the Lord is the one who adds to His Body, why would He add to a people who do not manifest His love? Go and make disciples in our world needs a transformation. The Lord said that He is building His Church. We can be assured that transformation is coming! What does the future hold for Body of Christ? Personal Shaking– The Lord has been shaking and will continue to shake until we unearth the original foundation of what it means to be a follower of Christ. Increased Persecution- Even in America, the pendulum is already swinging against the Church and there is more persecution coming. This persecution will come from many fronts and will usher in a sanctifying separation that will leave together only those who have been truly born from above. Global Economic Crisis- At present, money is the only thing holding up the religious system and it is behind everything that is wrong with the church. Be warned and be prepared for an economic crisis that will do away with the weekly performances inside the four walls. The love of the Father (zeal of the Lord) for His children will cause Him to act. This economic crisis will also weed out every hireling which seeks to profit from the Lord and His people. The magnitude of this crisis will reach out to the ends of the earth. A Church Spotless and Without Wrinkle– Scripture says that His Body will make herself ready. The Lord has never left His people without a voice to show them the way. Those that have an ear to hear will hear and follow those living examples Christ has called us to walk with Him. The spots will be washed out (agitated) and the wrinkles will be ironed out in the heat (fire). The Bridegroom deserves nothing less than a beautiful radiant Bride shining like the stars in the sky. 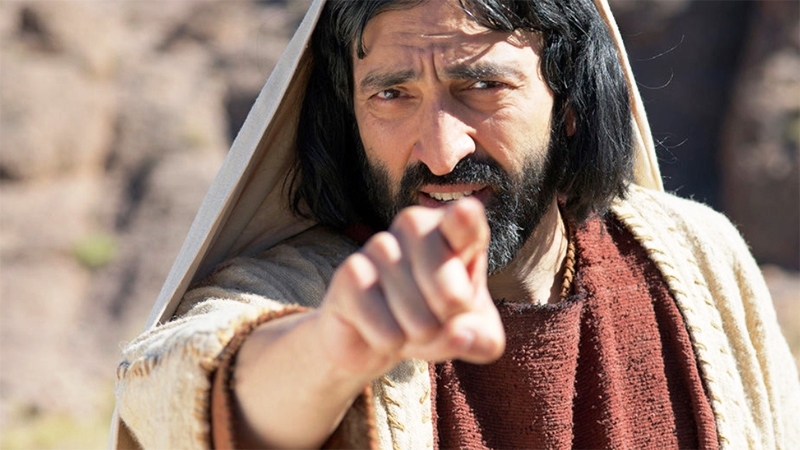 Are you a living disciple of the Lord Jesus Christ? Do you worship Him with your life daily or only with your singing? Go and make disciples is not a suggestion. That command wasn’t given to a paid clergy class. It was given to all those who claim to be followers of the Lord Jesus Christ. Are you making disciples? 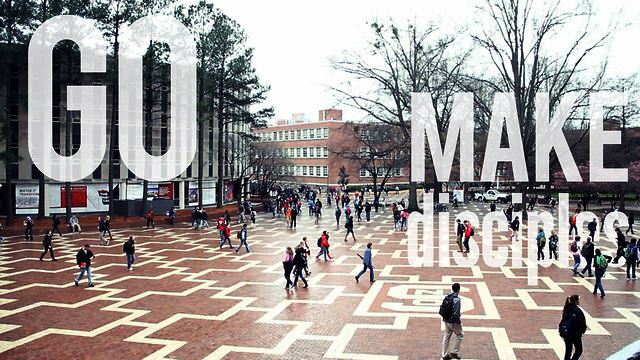 As you go daily, I challenge you to: go and make disciples. All comments will be gladly responded to and May the Lord expand these truths by His Spirit to your Spirit. Next articleGoing Rogue from Religion – Join Me? Great article. I pray the church begins to visibly display the love of Christ to nurture and edify the body as a witness to the world. Good to connect with you my brother! and I highly recommend that article. Very challenging article, Jose. It’s amazing that anyone could think that it was possible to make disciples in a meeting. Sadly, it just doesn’t fit into Western Christian lifestyle to spend one’s life for others. I’m praying with you that the spiritual reality that we are crucified with Christ would translate for some into a practical expression of sacrificial living.